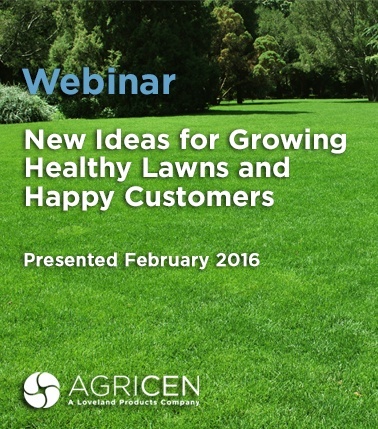 Watch Agricen's selection of on-demand webinars for ways to enhance plant health and improve plant performance throughout the season. 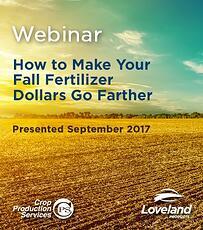 During "How to Make Your Fall Fertilizer Dollars Go Farther," you'll learn how to maximize the efficiency of your fall dry fertilizer application, what steps you can take to improve nutrient recovery in the first year after applying P&K fertilizers, and how to gain greater return on investment and greater yield opportunities by incorporating a fertilizer biocatalyst into your application. 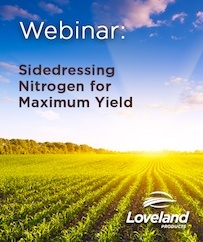 During "Sidedressing Nitrogen for Maximum Yield," you'll learn how to improve the efficiency and efficacy of sidedress nitrogen applications using biochemical technology to increase nutrient availability and facilitate plant uptake. 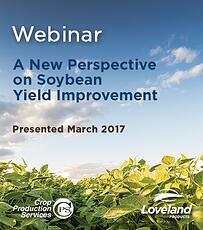 During "A New Perspective on Soybean Yield Improvement," you'll learn how to maximize soybean yield potential by focusing on soybean nutrition, including how existing nutrients in the soil and residue can help meet soybean nutritional needs and how pairing your soybean pre-emerge herbicide with Extract PBA for nutrient release can contribute to greater yield opportunities. 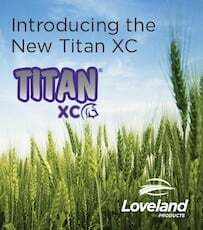 Titan XC, an innovative fertilizer biocatalyst specifically formulated for use with dry fertilizers, is the key to quick release and uptake of vital plant nutrients. In "Introducing the New Titan XC," you'll learn how the unique and concentrated biochemistry in Titan XC can help growers maximize the return on their dry fertilizer investments. 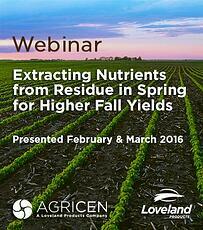 During "Extracting Nutrients from Residue in Spring for Higher Fall Yields," you'll learn more about managing residue in different cropping systems, the different factors affecting residue decomposition, nutrient release and immobilization, and the benefits of Extract PBA in spring residue or pre-emerge applications. With special guest speaker Dr. Dale Leikam, President of the Fluid Fertilizer Foundation. 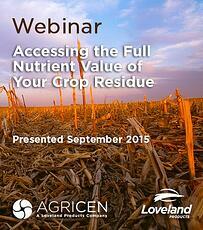 During "Accessing the Full Nutrient Value of Your Crop Residue," you'll learn how Extract Powered by Accomplish™ helps growers more easily and cost-effectively manage crop residue, increases nutrient release from crop residues for the benefit of next season’s crop, and improves a grower's bottom line. 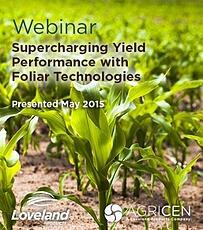 During "Supercharging Yield Performance with Foliar Technologies," guest speakers Tim Sickman and Tim Uhrig from Loveland Products discuss how foliar applications can cost effectively optimize crop yield, what plant growth regulators are and how they impact plant physiology, and how Radiate® and NutriSync® improve plant health and yield performance. In “Soybean StartUp: Plant Health Benefits from Emergence through Yield,” Brian Cornelious, PhD, of Agricen and Chris Stickler of Loveland Products discuss the benefits of a salt-free soybean starter program with Accomplish® LM and Radiate®. These two plant health technologies can be used together to improve early soybean emergence, increase plant vigor, and reduce plant stress for season-long benefits. 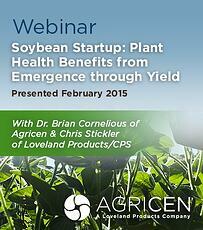 In "Improving Crop Yields with Starter Programs," webinar, Brian Cornelious, PhD, of Agricen discusses how to improve crop yields with starter fertility programs and how two sustainable biochemical technologies, Accomplish® LM and Titan® PBA, can increase the benefits. 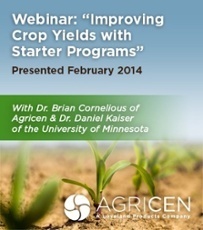 The webinar also features Daniel Kaiser, PhD, of the University of Minnesota, who presents an overview of his research on starter fertilizers, including what products to use, what benefits to expect, and how to make starter programs pay off economically. During "Enhanced Efficiency Fertilizer Technologies: Choosing the Right Technology for Your Needs," you'll learn more about different technologies that are available to enhance fertilizer efficiency, including NutriLife®, a biochemical fertilizer catalyst that maximizes nutrient conversion and uptake from applied fertilizers and the soil for better root growth and enhanced plant performance. 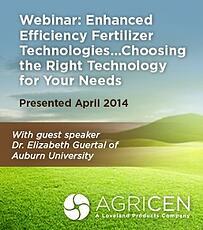 The webinar also features Elizabeth Guertal, PhD, of Auburn University, who reviews the basics of N availability in the soil, different fertilizer technologies–including slow-release fertilizers and fertilizer bioenhancement products–and how to select the right technologies for turfgrass.